When assembling his own "Dark Avengers" team, Norman Osborne needed an evil Spider-Man. 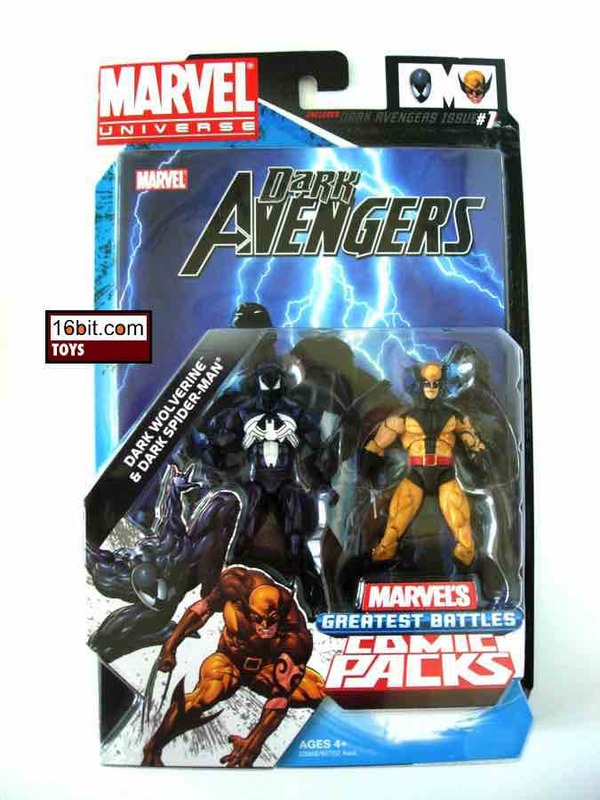 Luckily for him there was one sitting on the shelf, and his name was Venom. (Actually Mac Gargan, formerly the Scorpion.) Effectively a less freaky version of the alien hybrid, or a far more buff Black Spider-Man, this nicely articulated 4 1/3-inch action figure looks really neat. Using what I assume to be another figure's body repainted-- I don't have all of these, but I'm pretty sure it's largely recycled Piledriver parts-- this is quite possibly the most realistic interpretation of Venom yet. (As in, if it were a dude. Not actually an alien.) His clothes actually have wrinkles, rather than being a freaky second skin. His mouth is covered, rather than a giant "I want to eat your brain" tongue sticking out. (You get a bonus point if you know what I'm referring to there.) All 18 points of articulation move fairly freely, but aren't as stiff as some other Hasbro figures. The hip joints feel outright weird, as the ball joint construction is different than I'm used to seeing at this scale. G.I. Joe has a metal rod in his crotch, and Star Wars usually have t-crotches or, more recently, those inset joints like on the shoulders. He can stand just fine, but he feels a little weird if you aren't an avid collector of the line. This figure was one of the things that actually pushed me to start buying in to this line. The deco is pretty great-- it's not just a black figure, but rather a black figure with purple highlights all over that make it look like it was a piece of comic art brought to life. 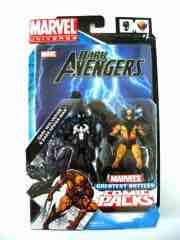 (Hasbro used similar techniques on some of its Star Wars comic figures and a recent Cyclops.) It's very subtle, but it really makes some of the detail pop. Who knew that just what an action figure needed to look better was some purple glittery paint? 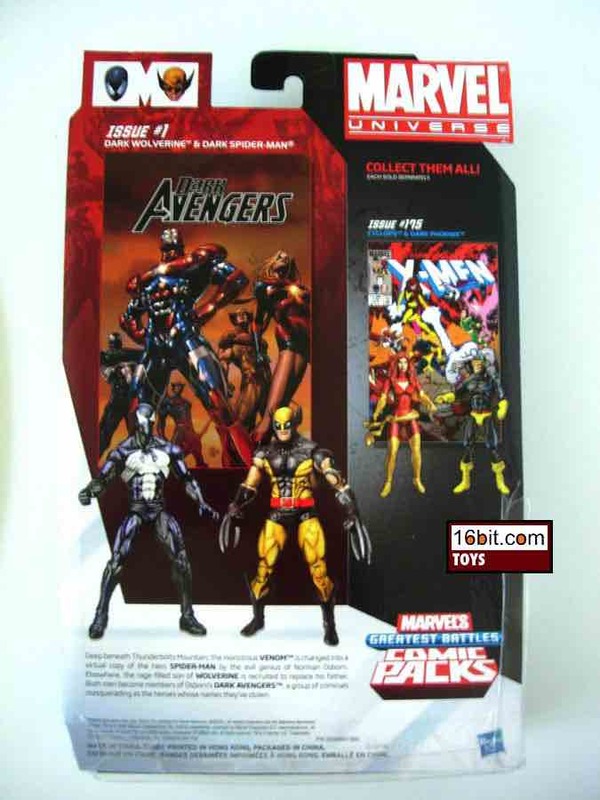 A problem with this figure-- one you won't notice until you open it-- is some of the metallic purple paint comes off on the plastic insert tray on the packaging. After I removed the figure, there were black specks on it. I don't know what this means for the long-term health of the figure's paint job, but if you open one be careful with it and pay close attention to any growing flaws as to avoid damaging it further. So yeah, it's not exactly perfectly authentic-- Hasbro does take shortcuts here and there, and sometimes you get a neat figure and sometimes you don't. 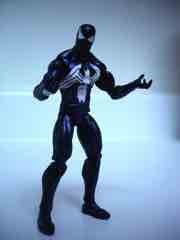 I dug this figure because it looked weird, evil, and unlike any other Venom in the Marvel Universe line. It's not perfect, but it's also the only Venom figure in Hasbro's Marvel Universe line so far-- pretty odd, considering the figure was always high on Toy Biz' to-do list. 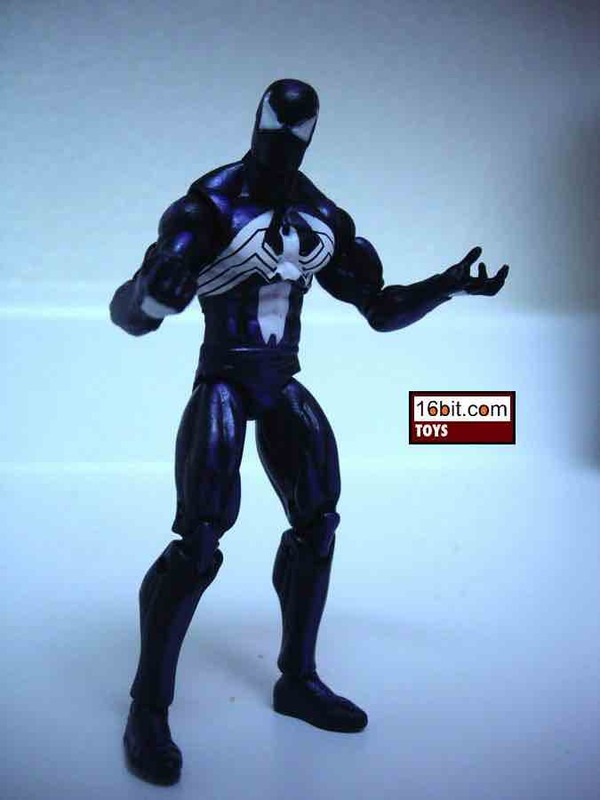 A comic Venom-- several, actually-- appear in the Hasbro kid-driven 3 3/4-inch Spider-Man line, which, seemingly, is the only truly largely kid-developed line out there these days. Everything else has pretty heavy collector interest, but not Spider-Man. 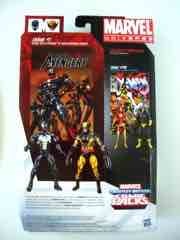 Other Dark Avengers figures from Hasbro include Dark Wolverine (packaged with this figure) and Iron Patriot. Dark Hawkeye should be showing up right around now.